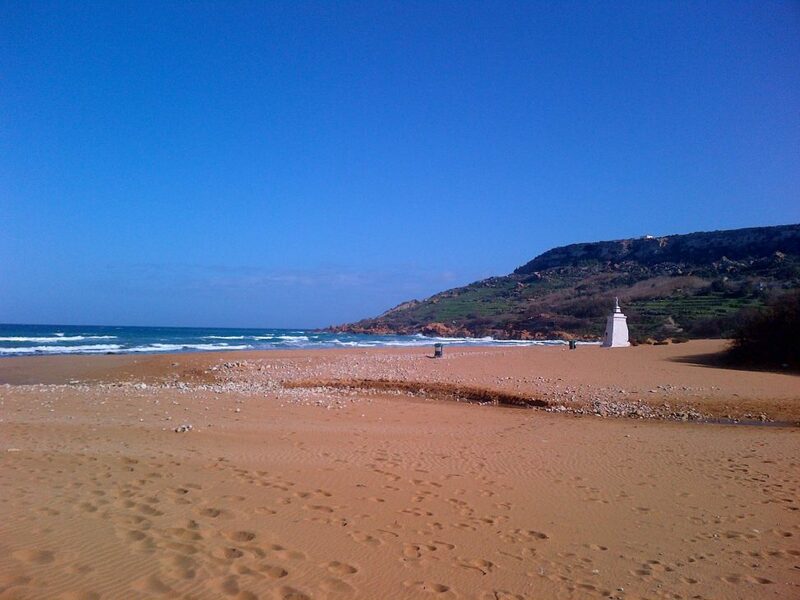 Ramla Bay is probably the best beach not just in Gozo but in the whole Malta. It’s large and wide, for a relatively small island. Very popular in summer as swimming spot, it could be overcrowded as all the nice beaches during the hot months. To be fair, sometimes it’s not so pleasant as people may expect but this is just a very personal point of view. In winter, with the area around the beach almost undeveloped, apart a couple of cafes probably closed out of season, scenery is totally different. Very few or no humans, there are only an abandoned hotel romantically overlooking the bay and the ruins of an old artillery battery; This increases the feeling that the time seems to have stood. Nevertheless, please look at the contrast between the shining blue sky and the red sand! Is it not amazing? The statue represents Virgin Mary and was erected in the middle of the bay in 1881. I like this picture, and I would be more than happy if someone has other photos of Ramla Bay in winter to share.